Between August and October of 2009, the Station Fire burned 160,000 acres of the Angeles National Forest. 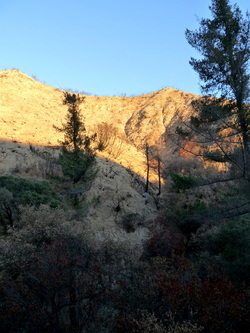 Arroyo Seco is one of many steep, burned canyons within the perimeter of the Station Fire and a small sub-basin was chosen by the USGS landslide hazards group as their yearly burned basin study site. The Terrain Analysis Lab at East Carolina University was asked to provide a high resolution Digital Terrain Model for the sub-basin. 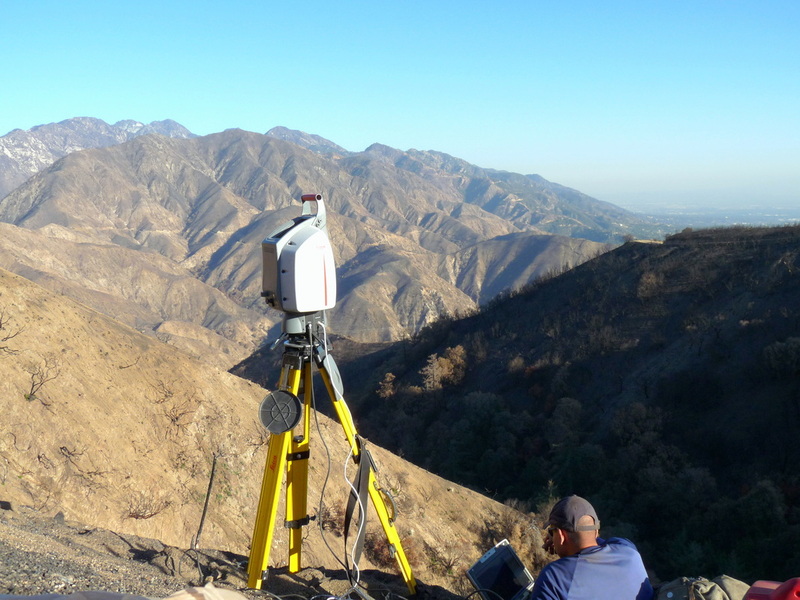 In November, 2009 I traveled to Glendale, California to assist with a Terrestrial Laser Scan of the Arroyo Seco site. 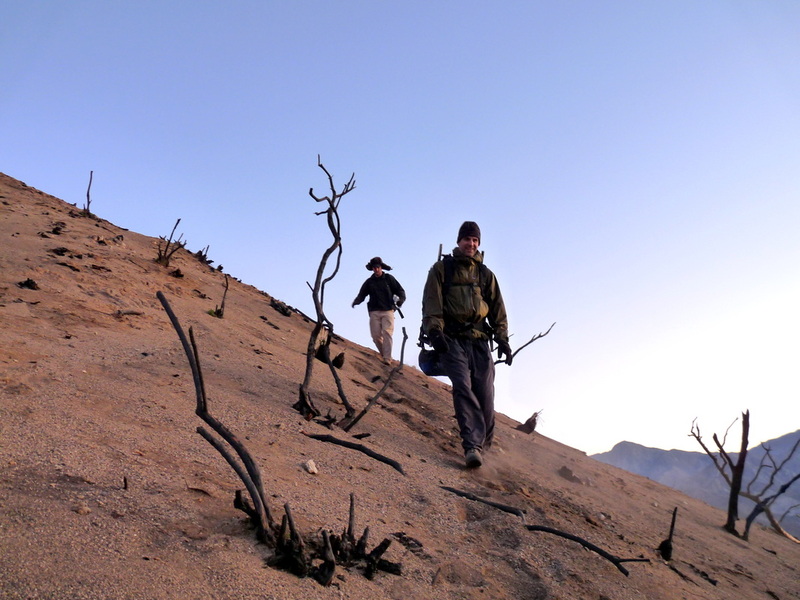 In mid-December, 2009 a rain event produced a small debris flow and in late December, 2009 I assisted with scanning the basin for a second time. Each of the two surveys required 26 separate scan locations over three days. A single Scanstation 2 Leica Terrestrial Laser Scanner was used to survey the basin, along with seven Leica high definition targets. A "leapfrogging" technique was used to create an additional 3 targets by moving targets which were not visible from the top of the basin out of the lower channel sections and into the upper basin. This technique requires acquiring the all visible targets twice; once from their old location in the lower channel sections, and one time in their new positions. We commonly use this technique when line of sight is not available from a scan location to the entire space we would like to survey. In this case, trees in the lower channel sections blocked our view of the upper-basin sections so we "leapfrogged" three targets, reducing our error budget (by better distributing targets within the point cloud) and increasing the redundancy of targets throughout the basin. The two surveys were referenced using the monument technique, which is detailed on the GAP fire page. Scanner setup, mid-slope, about 3/4 up the basin. View from below, looking up into the basin. USGS gauging station located at the flow outlet point of the study site basin.